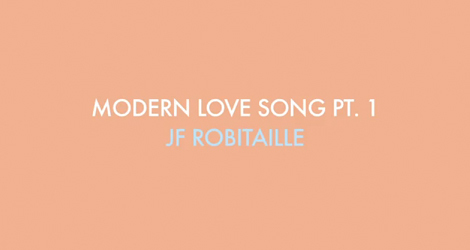 “Modern Love Song Pt. 1” by JF Robitaille. After a whirlwind start to 2012 with an eastern Canadian tour and festival showcases at CMW, NXNE and SCENE Fest, the Montreal singer-songwriter is ready to set down some roots in Toronto. He’ll be performing a residency coinciding with the Supermarkets’ “Wednesdays Go Pop” series to feature new guests each night.